it’s the holiday gift giving season! creating gift guides is my favorite thing to do even though it can be hard when it’s specifically for my family. i love all the options there are for people though and i am super excited about this season’s gift guides! i’ll be sharing many many more in the upcoming weeks so if there is someone specific you’re looking for, send me an email and i’ll add it to my list to include! buying gifts for little ones is probably one of my favorite things because they play with their toys so much and they’re always so animated when they get something new and exciting! at least my two and a half year old is 🙂 here’s a few fun ideas for the toddler in your life! 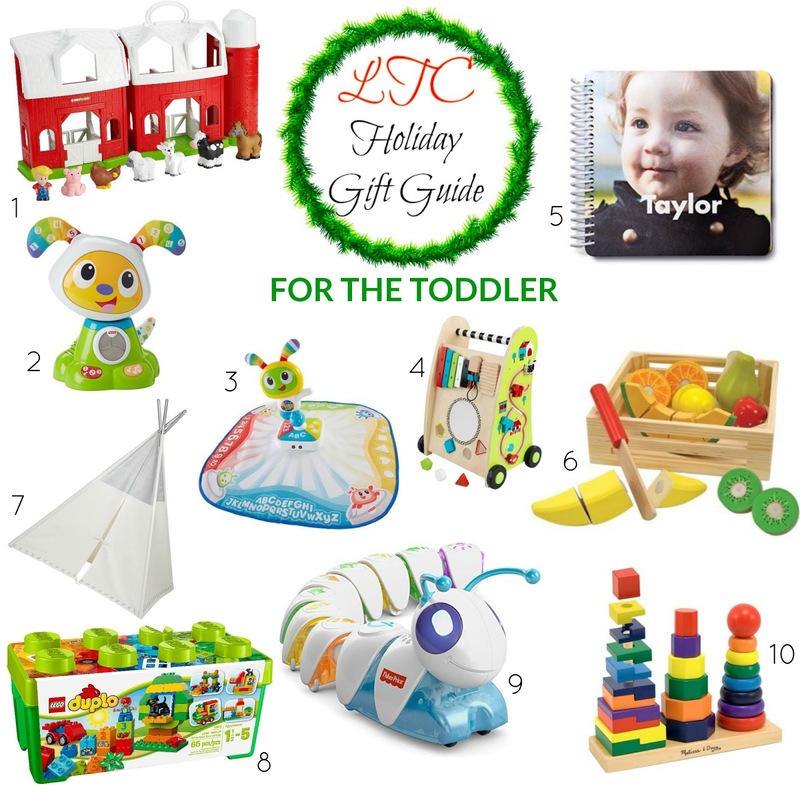 Great gift guide Mama! You can never go wrong with wooden food! Love it! I will check these out for my toddler! Such a great list! We love the little people farm!